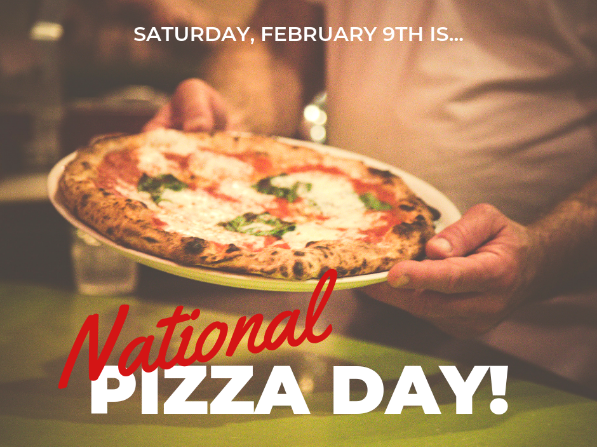 National Pizza Day is Feb. 9th! – with $5 9” Margherita Pizzas all day ! Ps. Did you know, National Pizza Day has been celebrated since 1984?! You'll fall in Love with these Features!